View currently listed homes and properties for sale below. Arrowhead Grand is a beautiful, gated golf course community in Myrtle Beach, South Carolina. Arrowhead is an awarding winning golf course and the amenities include tennis courts, a pool and clubhouse. There are also day docks within the community along the Intracoastal waterway. 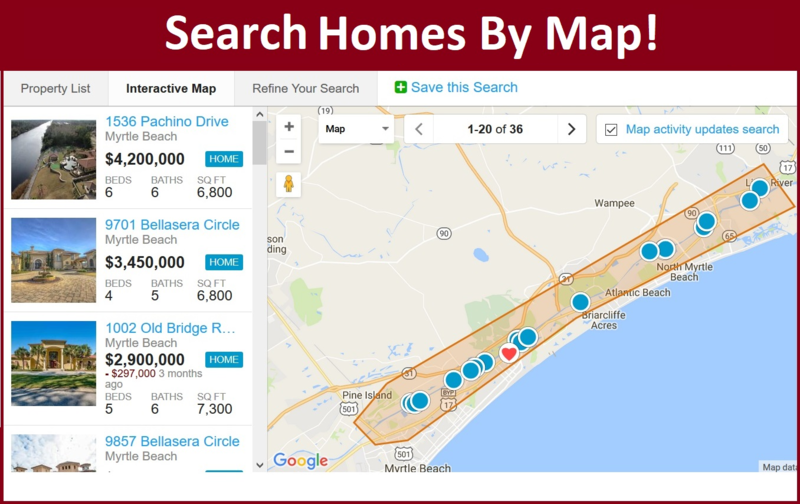 This community is just over the bridge west of the Intracoastal Waterway and is a few miles from popular destinations such as Market Common, Myrtle Beach Boardwalk and Broadway At The Beach. Contact us for more information or to view homes for sale in this luxurious community.